The Energy Partners Program (EPP) has a range of resources available to help partner organisations support their clients and direct them to free energy information and advice. If your organisation is not currently an energy partner but would like to join the program, please contact us. Please contact the EPP if you would like copies of these articles, or if you would like us to develop an article on a different energy saving topic. Energy partners can borrow pop-up display banners promoting the Energy Advisory Service for use in public spaces and at events. 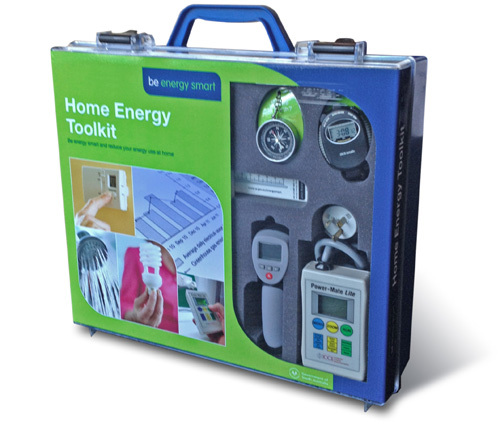 Home Energy Toolkits contain tools and instructions to help people assess their home energy use and take action to lower their use. Toolkits can be borrowed for free from most South Australian public libraries or energy partners can borrow or purchase their own toolkits from the EPP. To borrow a banner or enquire about toolkits, please contact the EPP. Retailer Energy Efficiency Scheme (REES). If you are a community worker or volunteer and would like a hardcopy of the guide, please contact the EPP. You can also register your details to be notified when the guide is updated. Anyone may download and print out the publications in this list. If you are an energy partner and would like to order printed publications, please contact the EPP.